Oh my gosh. This cover is gorgeous. I love the colors so much. I love Wil so much. I love the boy so much. And the background. And everything. And I am in love with this cover. It is peeerfection. Sigh. Love it. 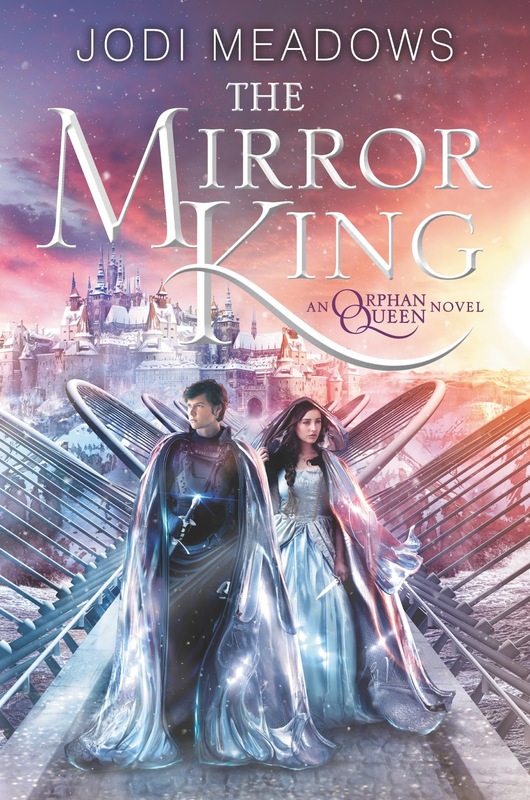 So excited for The Mirror King :D As I loved book one, The Orphan Queen, a whole damn lot. It was amazing. <3 Oh so good. This one will be better, I'm sure. The summary is awesome. Sigh. Love it. Also, the author, Jodi, is one of the most amazing people I've ever known. She's so kind. And awesome. And yeah, you should all go read her books right away. Especially The Orphan Queen :D You won't regret it. Promise. Well. Hah. That ending is the devil. Yet I loved it to pieces.You need to check out the official reveal post here, to enter the most amazing giveaway. Sigh. If only I could enter it. 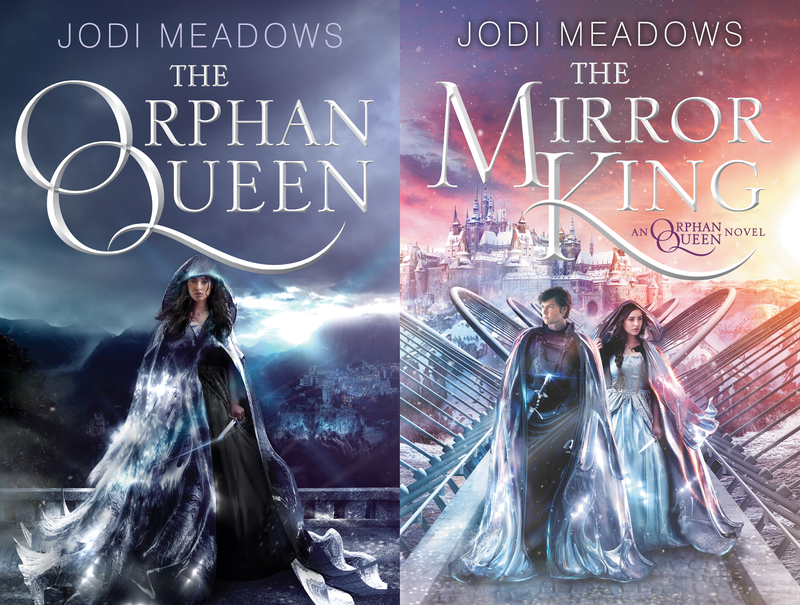 <3 I would sell my soul for an ARC of The Mirror King. Seriously. I want this book so badly. It is going to be aaamazing :D And waiting for April 5th will be torture. Ugh. But worth it, I'm sure. I simply cannot wait for this book. It shall be so good. And oh my gosh. With this perfect cover, it will look so stunning as a finished copy :D I cannot wait to see it in person, months from now. Aw. I wish I could have it right away. But yeah. This book is going to be epic. And I cannot wait. So excited to read more about Wil. And the Black Knife. And everyone and everything and just, ugh. So excited for this one. <3 The Mirror King is going to be perfect. Just, waiting will be awful. Will do it, though :D What do you think of the cover? The Orphan Queen. The Mirror King. Jodi Meadows. Official Reveal Post. The Book Depository. Amazon. The Black Knife Novellas. Review of The Orphan Queen. BEAUTIFUL! :D Thanks for sharing this, Carina! Wow so beautiful and amazing covers. Never heard of this books before, need to check them out now. THE ROBES ARE SO SHINY. Heh. And the colors are very pretty pastels, I like that they're different from most scifi/fantasy covers. Such a gorgeous cover! I still need to read The Orphan Queen! I'M OBSESSED. The Orphan Queen was pretty, but this is so much better! The colors! I love that there are two of them on the cover this time, too. April is too far away! !